Sameera Hameed | The Meadows. Dawn. And a Pen. From A Soul that longs for its long lost Abode. Very often, we as parents are worried about the future of our children and their upbringing. We choose every thing they are exposed to, consciously. We want the best for them in everything. While we work so hard on them, to physically and spiritually protect them, Allah swt presents us a beautiful story to teach us on who we should be focussed working on – OURSELVES. In surah Kahf, Musa AS follows Khidr AS in order to gain knowledge from him. In one of the instances, Khidr AS builds a broken wall, in a town that didn’t welcome them or fulfill their needs. When asked, Khidr AS says that beneath the wall was the treasure of two orphan boys whose parents were righteous. And so Allah swt wanted to protect their wealth for them for until they attained maturity. We worry so much about our children when Allah swt has granted us the pathway to THEIR successful Akhirah- OUR righteousness. How much can we handle their affairs while we are just mortal beings but Allah’s safety for them is garanteed even after our death, provided we were righteous. Here Khidr AS mentions “your Lord intended” and doesn’t even use the word “we” or “I” intended as opposed to his previous explanations. Clearly explaining to us that no one else will ever be able to shape the destiny of any child except Allah swt. Here, will is attributed to Allah, the Exalted, because no one else is able to bring them to the age of full strength and puberty except Allah SWT. We hear very often that we can’t pour from an empty jug. And hence we need to work on ourselves before we give others. Work on the self. No matter whom you’re nurturing, how busy you are, how hectic it is; making time for yourself and the growth of YOUR OWN SOUL should be your first priority. When you die as a righteous slave, your child is blessed with Allah’s care long after you’re gone. What else would anyone want for their children? Recently I was asking my sister if there was a word to describe that hollow empty weird gulpy feeling you get when someone close to you leaves home. We didnt really find a word for it but then I went on to reflect on it. It was a Mercy from Allah swt that after the creation of Adam AS, He granted him a companion; a spouse, soulmate, lover, whatever you call it. When Ibrahim AS left Hajar alone in a desert with their baby, to fulfil his duties, she must have really felt hollow; it shows in her desperation when her child cried of thirst. What would she have been feeling that her loneliness without her husband, her desperation to feed her child, her anxiety of being in a deserted valley made her climb from one mountain to another, not once, not twice but SEVEN times! Had she despaired at the farewell of her loved one instead, she wouldn’t have made history and initiated an act of worship for millions of people and generations to come. She surrendered to the will of her Almighty because she knew where to place the love of Lord and where to place the love of her loved ones. She surrendered to Allahs commands over her desires, no matter how tiring, how trying it kept getting for her. How beautiful a Mercy from our Lord it is, that to feel empty means our hearts feel love; and to be able to love is from an attribute of the merciful. There is one word in the Quran that is so beautiful and deep in teaching us the etiquette of being a student of knowledge. One word; so comprehensive, and so deep. Such is the Quran; the more closer you learn from it, the more deeper you dive into its ocean of wisdom. ‘Ar Raasikhoona fil ilm’, meaning ‘those who are firmly rooted in knowledge’: Allah swt uses the word ‘Raasikh’ which comes from its roots, ra seen kha; rusookh, giving us the meaning of being firmly grounded, like a nail pinned/hammered so deep into a wall such that even if you hang something heavy on it, it won’t fall, because a large portion of it is pinned in the wall. Meaning, the one who is firmly rooted in knowledge is not only the one who has a lot of knowledge, but that knowledge is strongly connected to the actions in their lives; there is literally no disconnect between their knowledge and their lives, their words and their actions. In other words: they are firmly rooted in their knowledge that it is manifest through their implementation of it. We see their knowledge in their actions. 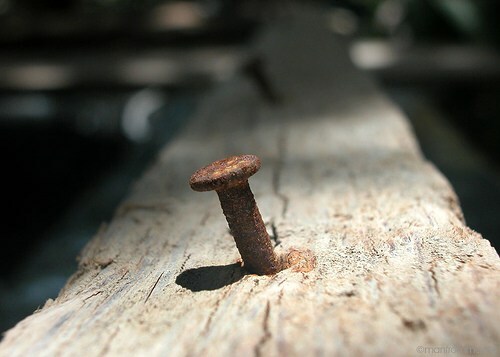 And no matter how heavy a matter is hung on the nail, no matter how difficult or tempting a situation they face, the nail doesn’t easily uproot from the wall, they do not easily give in; instead they follow the straight path. Such are the Raasikh, the people who are firmly and deeply rooted in their knowledge. One can read and study books upon books completely filled with notes, one can have many degrees from big universities, but one is a Raasikh, only when they have fully understood all that knowledge and implemented it and USED it. The more a person acts upon knowledge, the more he remembers it. Allah SWT describes these people and mentions this word in two places in the Quran. In Surah Ale Imran verse 7 and in Surah Nisa verse 162. Now, Who are these people? How do we recognize their characteristics or strive to be like them? They firmly establish prayer [Side note: In this verse, the scholars say that this point of establishing salah has been given so much emphasis and honor due to grammatical explanations I won’t go into here] It is sufficient to know that the state of our prayer is a huge criteria of our faith and our level of being a raasikh or not. Ibn Al-Mundhir recorded in his Tafsir that Nafi` bin Yazid said, “Those firmly grounded in knowledge are those who are modest for Allah’s sake, humbly seek His pleasure, and do not exaggerate regarding those above them, or belittle those below them.” They don’t compromise for the sake of others, neither do they seek respect from others; they tell people what is correct and don’t show arrogance or bad character or bias in saying the truth. And they don’t complain if people don’t accept/acknowledge them. The question now is, how deep is my nail rooted today? Is it rusted? Is it rotten? Is it falling apart already? or Is it strong enough? Reading the works of the scholars of the past, makes you wonder in awe of how deep they thought and contemplated in every aspect of life. Right now its like a trend to forward and share their quotes right? Sometimes without even internalizing it and sometimes relating to it saying “aah soo truueee”! I was reflecting on how their lives might have been; so focused, so much self introspection, and so much contemplation. Because if you think about it, behind the most beautiful, deep and thoughtful writings are hard heartfelt experiences, struggles, failures and successes. They went through it all, fought battles with their souls and with the outer temptations, they recognized their inner and outer enemies and worked on not letting it affect them. They lived ‘consciously’ every day, knowing the state of this world and the test they’re facing. They knew the real deal was to invest in their hereafter and be careful of it. Did you ever feel that right now the world is so deluded into living their lives on social media? Like a virtual reality that makes one content with the way our profile is, the fame or good thoughts people have of us? Constantly ensuring we are up to date with the rest of the world, we aren’t ‘missing out’, and that our profiles are flawless. Back then, this virtual reality for those amazing scholars was THIS world. Yes, there was no social media or internet back then. This world in itself was a delusion for them and they focused and fought and strove so hard on not letting it delude them. Hence, now we see mountains and mountains of their BEAUTIFUL works that takes ages to comprehend in depth since its depth can only be understood by those who really try and stand where they were standing back then. Understood by those who truly want to understand what those scholars got of the reality of life. And the truth is, it is those scholars of the past who understood “virtual reality” very well; That this world is nothing but a delusion. Its like that movie inception we are in now. A virtual reality within a virtual reality. And only some who try and reflect everyday like those few did those days, will truly come out of it successfully. “Every soul will taste death, and you will only be given your [full] compensation on the Day of Resurrection. So he who is drawn away from the Fire and admitted to Paradise has attained [his desire]. And what is the life of this world except the enjoyment of delusion. Should we then abandon this world and sit in a corner, waiting for death, coz this world means nothing? No! In one of the chapters of the Qur’an that we are highly recommended to read every single day before retiring for the night, Surah Mulk, Allah SWT tells us of our purpose of being born and raised in this world. Yes! The same world HE calls a delusion. He tells that He created us to test us which of us are perfect in our deeds, which one of us are better in deeds than the rest. Like a competition, for the hereafter. A few verses after that, He mentions to us as to how He created this world so tame for us to walk on it comfortably, USE it comfortably and use its sustenance! And how do we make use of this delusional world then? By using it as a tool, a means to attain that which is eternal, that which the scholars of the past strove for. Don’t let their praises delude you. Don’t let their criticism delude. Don’t be grieved over the matters of this world. Don’t be overjoyed with its matters either. O soul, fly! Fly like a bird, O soul! Take from the earth what you need and rise higher, for your station of settlement isn’t here yet.. Fly; but don’t flee from this world either..